INTERVIEW - Lord Puttnam is an Oscar-winning producer, chairman of Profero and one of the most active players in culture, business and politics today. Here he talks about chairing this year's DMA Awards, his time working in the Mad Men era of advertising and the shape of agency things to come. Q: Statistics suggest that the UK is looking at economic recovery now, but agencies have had to slim down and shed any excesses along the way. Do you think a leaner agency scene is here to stay? It depends what you mean by the word ‘stay'. Any agency that suddenly starts to expand much before 2012 could have a rude awakening. I agree with Martin Sorrell - I think this is a W-shaped recession and we're in for a fair bit of pain in the next year. Q: Do you find yourself agreeing with Martin Sorrell a lot these days? (Laughs) I've known him a long time and he's a very smart man. Q: You worked Collett Dickenson Pearce in the Mad Men era of advertising. Since 2006 you've chaired digital agency Profero. Can you put into words how the agency scene has changed since the 60s? Many of the things that we pioneered at Collett are things that I still recognise - like the intimate linking of creatives. In the early 60s and late 50s you had copywriters and what were termed ‘visualisers' who didn't speak to each other - they used the office internal mail to communicate. The ad would go down to the typesetters and would come back to the account handlers to sell it to the client - it was very compartmentalised. In Mad Men you're beginning to see the development of teams - the emergence of the modern ad agency. I can't wait to see the next series. 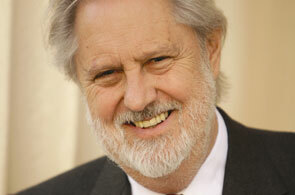 In the show a British agency wants to buy Sterling Cooper, and it's called Puttnam, Powell and Lowe. That's the most flattering thing that's ever happened to me! Q: Is there one contribution you've made to Profero that you're particularly proud of? I'm trying to take an essentially entrepreneurial organisation, that has grown very quickly and has no debt, and get it to consolidate so it can grow to the next stage. Where most growing organisations fall down is a failure to inject serious management expertise at the right time and my job is trying to do that without spoiling the passion and zeal of the agency's entrepreneurialism. What Wayne Arnold [Profero's co-founder] has achieved in New York is tremendous - I always thought we'd do well over there but he's gone way beyond expectations. Q: Does the US digital scene accept British blow-ins? There seems to be an understanding that we are creatively ahead of the US and it's not questioned. We've put together a lean machine over there. Q: In stepping back into agency life, did you deliberately opt for a digital role? Absolutely. I'm 68 years old and I had choice to enter old fart-hood or to resist that. I've been very lucky in my choice of colleagues. Q: With the countless other roles you play in business, politics and society, why did you make time to chair the DMA Awards this year? The answer is rather simple. I am very conscious that the world of communications is moving very quickly and because I have responsibility for communications issues in the House of Lords – we've got the Digital Economy Bill coming before Parliament in the next few months – the opportunity to meet agencies and get a snapshot of what's going on is food and drink to me. And so it proved. I met some really interesting people and saw some wonderful stuff. Q: Were the entries digital enough? It was plenty digital enough for me, surprising and hugely encouraging. There is a clear winner and I'll be there on the night. Q: The DMA likes the Grand Prix winner to be a pointer to the future of direct marketing. Do you think this is the case this year? With knobs on - and you can quote me on that! Q: Do you still consult for Tequila\London? I haven't done recently - my relationship with Tequila and [sister agency] TBWA was because I was president of Unicef. They underpinned a secretariat for that role. It was a brilliant idea by Andrew McGuinness and Trevor Beattie - that they would do this and I would consult for them. But I ceased to be Unicef president in July. Q: You chaired the Joint Parliamentary Committee on the Draft Climate Change Bill. Do you think the DM industry has got its green act together? It's impossible for me to make a judgement - but I'd like to think so. I don't know enough to give an honest answer. My instinct is that the people I meet in the creative industry are more conscious of [green issues] than in other industry sectors I deal with. Remarkably few nowadays - I've noticed a decline. The equivalent is I get a lot of stuff in magazines and newspapers that tend to get fatter and fatter. One of the things that emerged from the DMA awards is greater use of targeting in direct marketing campaigns and a greater use of the internet. Q: Does it bother you that the recession seemed to knock green issues off the top of business agendas? Yes it bothers me, as the situation gets more concerning. Human beings are brilliantly attuned to dealing with emergencies but influencing climate change is a slow burn - no pun intended. Getting people to raise their eyes beyond their immediate concerns of family and life is not easy. Q: As media has fragmented, agencies have too. Journalists, and agency folk themselves, make much of the differences between direct, digital and advertising shops. Is this demarcation correct? Not at all and I hope that what will emerge from direct marketing's big night is that it's becoming almost impossible to categorise the demarcation - it's about the appropriate medium to do the appropriate job at the right time. Q: With above- and below-the-line agencies all beefing up their digital marketing skill sets, do you ever see a time when we will revert to having just ‘agencies'? If so it will be confusing for clients. I'm not sure it is confusing. Clients are trying to break out of silos and they're looking for organisations to help them do so. One of the benefits I hope I'm bringing to Profero is that I am a generalist and in my movie making I deal with human experience and human narrative. What clients are trying to do is market their products based on human experiences. Q: We now live in a world of linear and nonlinear broadcasting. Has TV advertising made the transition from one to the other, from a quality point of view? We do see some awful viral ads making waves. My personal judgement is, having been deputy chairman of Channel 4 for four years, that I find the TV world very old fashioned and change-resistant and I've been surprised and disappointed by that. The movie industry is also trying to deal with digital platforms and I find a more lively discussion taking place in the movie industry than in TV - where people feel their train set has been taken away. Q: Which agencies will survive in the digital era? Those agencies that can see the future is exciting and make hirings that are not traditional. Those hanging on to the old business model - we both know who they are - need to know that it's a model that's all but bust. But it's the one they know.